Home > On Air > Blogs > Lance Cardinal > CFWE's "Kitchen Jigging Challenge" brings online laughter and joy to Alberta's Indigenous communities! For most Indigenous people all over Alberta and beyond, laughter has always been the best form of healing. We tease each other, we laugh at things that may not always be funny and we try to find a way to make someone else smile when they are down. This need to laugh and deal with hard emotional moments through comedy stems from years of intergenerational trauma and Lateral Violence faced by our people since the arrival of the European settlers. Through this history, combined with the residential school experience, many Indigenous people have lost the ability to love and have oppressed a lot of very difficult feelings. 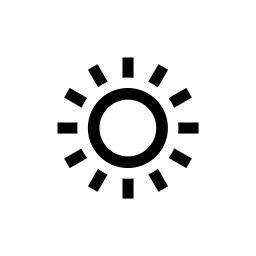 So for some of us, a good laugh or a shared happy moment is the only way to have a connection or show emotional support. In this current online community filled with skewed political landscapes and racially charged comment streams, I have decided to use my platform here at CFWE / Windspeaker Radio to bring laughter and fun back to our listeners in a FUN and INTERACTIVE way! 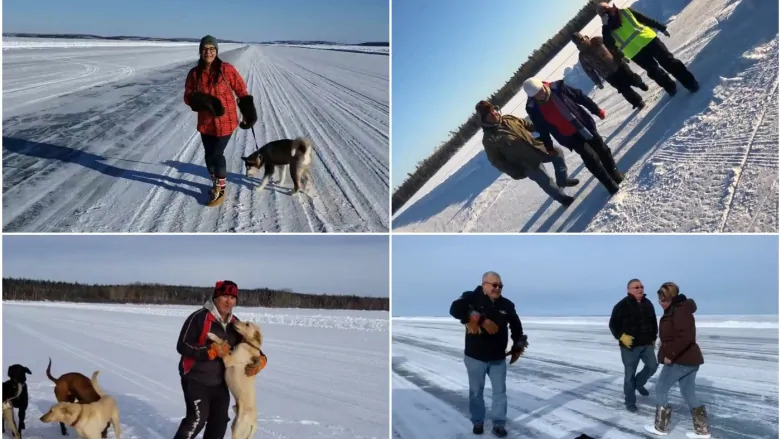 Recently the "Ice Road Jigging Challenge" asked indigenous people in Northern Saskatchewan and Manitoba who travel on ice roads to get out of their car and video tape themselves Jigging in the cold! The videos were uploaded to Facebook and brought lots of exposure to our northern nations in that area. 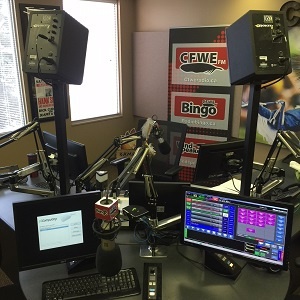 I decided to start the CFWE / Windspeaker Radio "Kitchen Jigging Challenge", asking our listeners to show us their best jigging moves while they listen to our station from their kitchens or living rooms! Little did I know the response I would get! So many great videos of people sharing their love for Jigging and having SO MUCH FUN doing it! We saw kohkums, kids and people of all ages, dancing, jigging, laughing and even even costumed up to be a part of the fun!! Its was so nice to see us all coming together to bring a smile to each others faces. Over 8000 VIEWS on the Facebook page, hundreds of shares and POSITIVE messages of support from communities all over Alberta!! These are some more of the Video submitted so far!!! Thank you to all those who submitted, you have brought so much joy and smiles to those who watch! If you want to be a part of the "CFWE/ Windspeaker Radio "Kitchen Jigging Challenge", just share your video at our FACEBOOK PAGE !